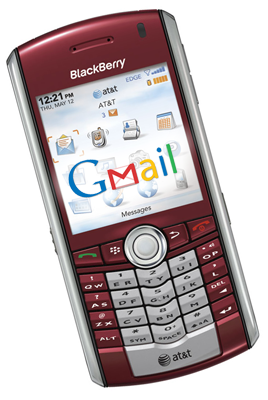 Blackberry users who have been frustrated by their phone's inability to properly sync Gmail can unclench their fists. Documents detailing the new features of the upcoming BIS 3.0 show Gmail syncing and WMA support are on the way. RIM is finally updating BIS so that Gmail will accurately sync read and unread status of your mail. It's about time. The update will also add support for Windows Media Audio attachments as well as OpenOffice documents. BIS 3.0 will also include the decidedly less exciting updates of a reconfigured, more secure E-mail setup application and more accurate error messages that will direct users to their specific carrier. I'm not kidding.